Travis Scott’s original date on Nov 30 has been RESCHEDULED to Mar 9, 2019. Patrons with previously purchased tickets for the November date will still be able to use their tickets for the newly rescheduled March date – no exchanges are needed. If you cannot attend the rescheduled date, refunds are available at the point of purchase. For purchases made online at XLCenter.com or by phone, please call 877-522-8499. For all other online sales, please refer to point of purchase for your refund. For purchases made at the XL Center box office, please return your tickets to the box office for a refund. Please note, the box office hours of operation are Mon-Fri 12 noon-5pm. Known for his explosively wild performances, the history-making Houston superstar, Travis Scott, announced his biggest tour yet coming this fall: "ASTROWORLD: WISH YOU WERE HERE." Produced by Live Nation, the ASTROWORLD Tour brings the amusement park of his chart-dominating critically acclaimed blockbuster ASTROWORLD to life on stage and is unlike anything done before. 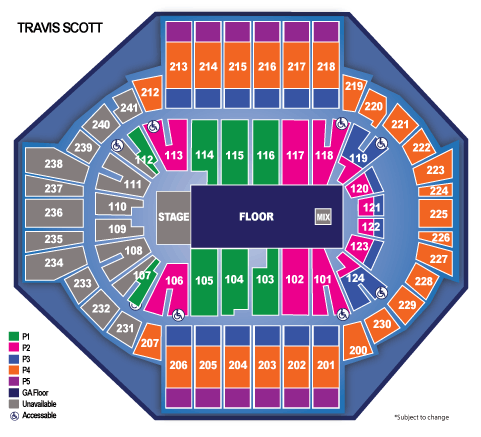 Travis Scott will make a stop at Hartford’s XL Center on Mar. 9, 2019! Sheck Wes will be the opening act for this show.